Jenny Tiramani has worked as a Costume and Stage Designer since 1977. She was Associate Designer at the Theatre Royal, Stratford East 1979-1997 and Director of Theatre Design at Shakespeare’s Globe Theatre, London 1997-2005, receiving the Laurence Oliver Award for Best Costume Design 2003 for the Globe production of Twelfth Night. Jenny returned to the Globe in 2012 to design new productions of Twelfth Night and Richard III that transferred to the Apollo Theatre, Shaftesbury Avenue and then in 2013 to the Belasco Theatre, New York, receiving the TONY award for ‘Best Costume Design of a Play’. Recent opera work includes costume designs for La Clemenza di Tito by Mozart (Aix-en-Provence 2011), Anna Bolena by Donizetti (Metropolitan Opera, New York, September 2011) and costumes for André Chenier by Umberto Giordano (Royal Opera House, Covent Garden, January 2015). 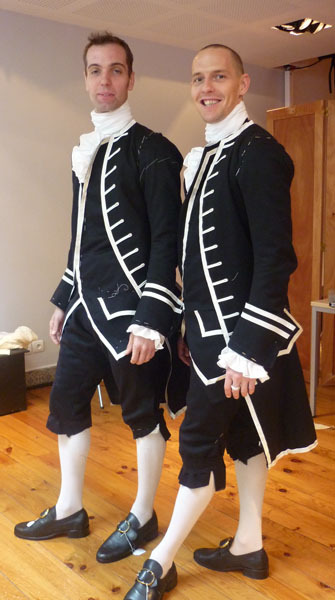 Future costume and stage designs for theatre include The Marriage of Figaro at the Sydney Opera House, opening in August 2015. 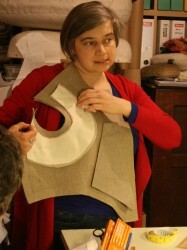 Jenny was Visiting Professor of Costume at the School of Art & Design, Nottingham Trent University from 2009-2011. She has taught on many UK and USA costume courses as a visiting tutor and has been the Director of the Rutgers University/Shakespeare’s Globe Study Abroad Design Course in London since 2001. 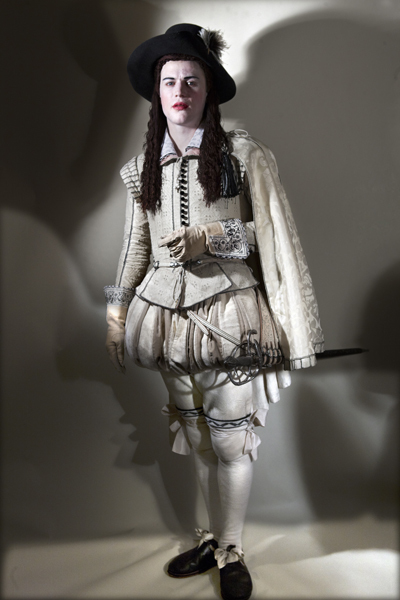 In 2008 she completed Janet Arnold’s Patterns of Fashion 4: The cut and construction of linen shirts, smocks, headwear, neckwear and accessories for men & women c1540-1660 with Santina M. Levey (pub. MacMillan). She has since co-written Seventeenth Century Women’s Dress Patterns: Book One (pub. April 2011) and Seventeenth Century Women’s Dress Patterns: Book Two (pub. July 2012) published by the V&A with Melanie Braun, Luca Costigliolo, Armelle Lucas, Susan North and Claire Thornton. Jenny is currently preparing Janet Arnold’s Patterns of Fashion 5: The cut and construction of women’s bodies, stays, hoops and rumps c. 1600 – 1795 for publication with Luca Costigliolo. 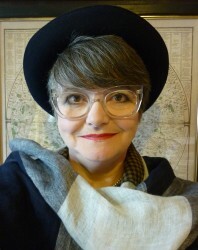 Hattie is a costume supervisor and designer who has worked with Jenny Tiramani on many productions at the Theatre Royal Stratford East and Shakespeare’s Globe since 1997. She trained at Central School of Speech and Drama. As a costume supervisor Hattie’s work has included the Millenium Dome Opening Ceremony in 1999 and many productions at the Young Vic including Monkey, Tintin and Generations. Her costume design work includes Come Dancing and Jack and the Beanstalk at Theatre Royal Stratford East, Market Boy at the Royal National Theatre, co-costume designer for the first series of Skins for Channel 4 and pop promotion videos for Beth Orton and Add N to X. In 2012 she was costume supervisor for Richard III and Twelfth Night at Shakespeare’s Globe and the Apollo Theatre, Shaftesbury Avenue and in 2013 she supervised the transfer to the Belasco Theatre, New York. Melanie Braun is the Head of Wardrobe at the Nationale Reisopera, Enschede, national touring opera company of the Netherlands. 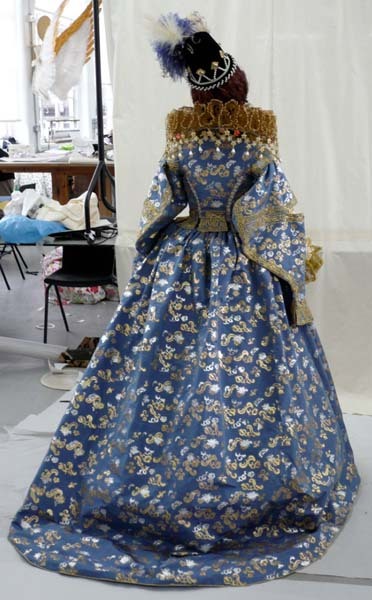 In 2013 she supervised the costumes for Gloriana by Benjamin Britten for the Royal Opera House, Covent Garden. She started her professional life with an apprenticeship at the ladies’ tailoring department at the Staatstheater Braunschweig, taking her final examination to become a ‘Gesellin’. Melanie moved to Berlin in 1989 to work as a junior hand at the Schillertheater and later as a senior hand at Theater des Westens. After five years in Berlin she took up further education at Anna-Siemsen Schule, Hamburg, to become a ‘Gewandmeisterin’ and master of the guild, focusing on the fine art of drafting patterns and cutting clothes. Melanie then worked as Gewandmeisterin, Deputy Head of Wardrobe and Head of wardrobe at the Theater Vorpommern. 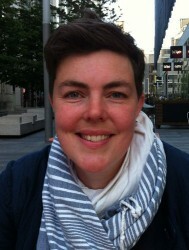 In 2002 she moved to England to work for the Glyndebourne Opera Festival. 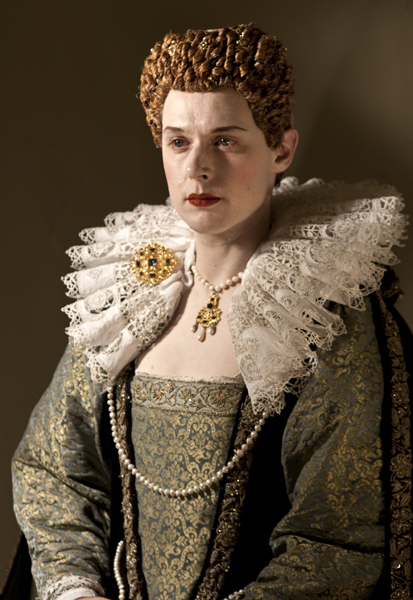 Melanie joined the clothing team at Shakespeare’s Globe, London, as a cutter in 2003, studying surviving sixteenth and seventeenth century clothes at the V&A, Abegg Stiftung and various institutions in Germany. She is a co-author of Seventeenth Century Women’s Dress Patterns: Book One (pub. April 2011) and Seventeenth Century Women’s Dress Patterns: Book Two (pub. January 2013) published by the V&A. 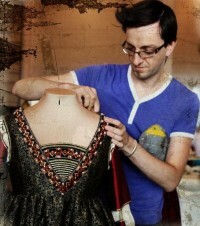 Luca works as a designer and costume cutter for theatre productions and films all around Europe. 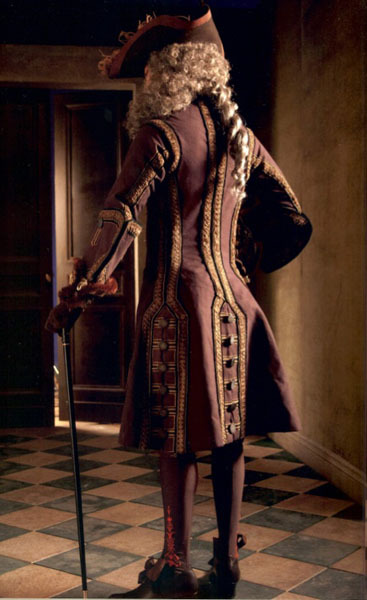 He recently worked in Hungary as a cutter on the Showtime costume drama The Borgias creating all the costumes for the role of Lucrezia Borgia designed by Oscar winning costume designer Gabriella Pescucci. 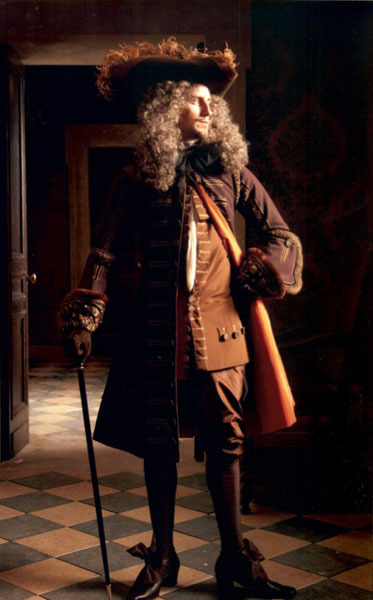 For nine years he was the Head of Wardrobe for the Spoleto Opera Festival in Italy and he was a member of the wardrobe team at Shakepseare’s Globe Theatre from 1999-2005, cutting and hand-making clothes for many productions including the award winning Twelfth Night for which he made Mark Rylance’s ‘Olivia’ outifits. 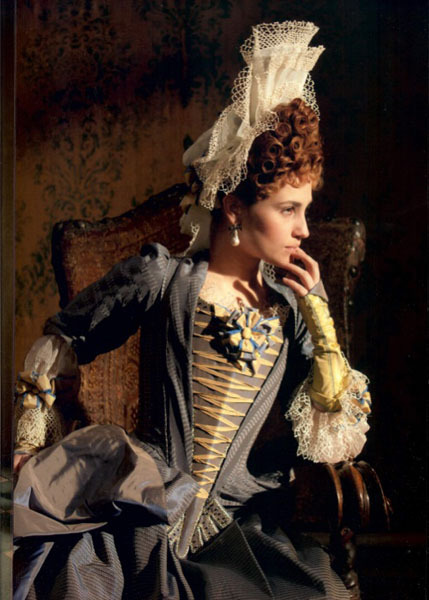 In 2004 Luca designed the costumes for Much Ado About Nothing directed by Tamara Harvey. 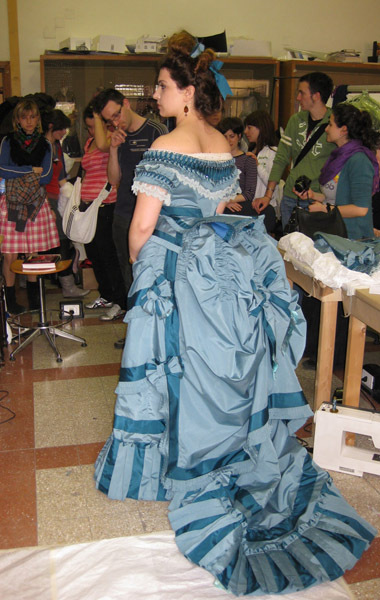 He teaches accurate historical cutting and sewing techniques at the Centro Sperimentale di Cinematografia in Rome along with world famous costume designer Piero Tosi. 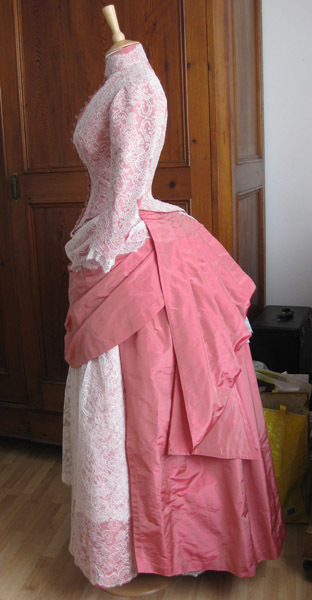 His knowledge on historical tailoring and dressmaking techniques have led him to collaborate with museums with important dress collections such as The Bowes Museum, Barnard Castle, County Durham, where he completed the reconstruction of a Worth ball gown worn by Josephine Bowes in 1861. A video showing him dressing a model in all the layers of clothing worn by a lady in 1870 is also on show in the textile gallery. 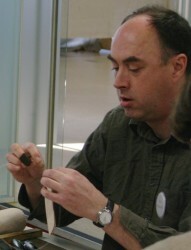 He was also the historical sewing expert on recent BBC programmes such as Victorian Farm and Edwardian Farm. Luca is a co-author with Melanie Braun, Armelle Lucas, Susan North, Claire Thornton and Jenny Tiramani of Seventeenth Century Women’s Dress Patterns: Book One & Book Two for V&A publications. Alan Hopkins has worked in tailoring and couture houses, including Mary O’Donnell in Dublin and the London couturier John Cavanagh. Later he ran the sample room for Reldan, a ready-to-wear company in London, working with designers and cutting patterns. 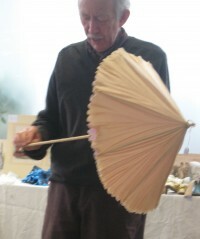 Alan has sought out the clothing of the past for many years, and uses his large collection to show students the fabrics and the details of cut and construction of historical dress. Karl has been working with leather for over twenty years and makes a wide range of leatherwork for living history interpreters, museums, film and theatre using historical techniques. His commissions have included projects for the Historic Royal Palaces, Hampton Court, The Royal Armouries Leeds, the V&A, the Museum of London, Shakespeare’s Globe and the Metropolitan Opera, New York. All his work is made by hand with only the materials, techniques and designs available to the craftsmen of a given time period using leathers that were commonly available, then dyeing and dressing them using period recipes. 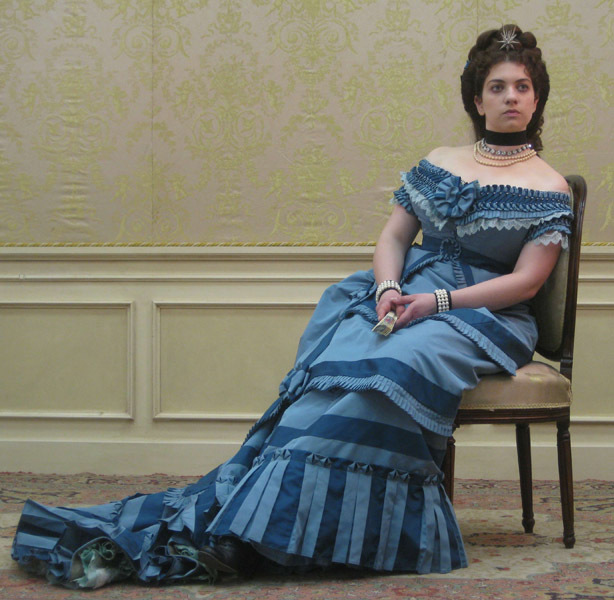 For the last fifteen years Claire has made costumes for film, theatre and television. Films include Topsy Turvy directed by Mike Leigh and Sleepy Hollow, directed by Tim Burton. 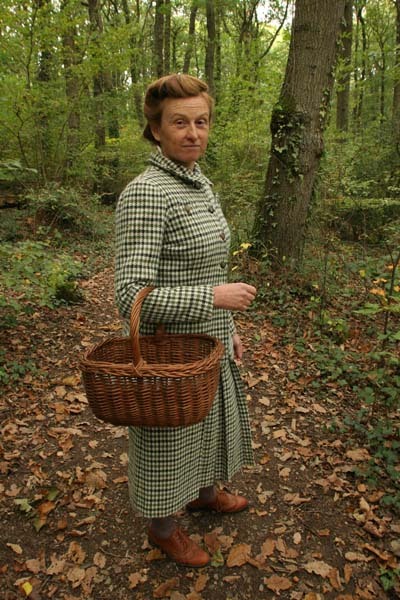 Television work includes Timewatch and Wartime Farm for the BBC. 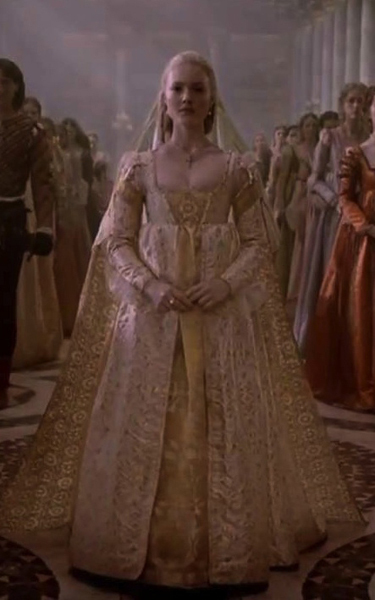 She was a member of the Original Practices clothing team at Shakespeare’s Globe Theatre from 1999-2005 where her clothes included those worn by Mark Rylance as Cleopatra in Antony & Cleopatra, 1999, and as Richard II in Richard II, 2003. Claire also hand-made clothing for The BIG Secret Live ‘I am Shakespeare’ Webcam daytime chat-room show by Mark Rylance for the Chichester Festival, 2007. 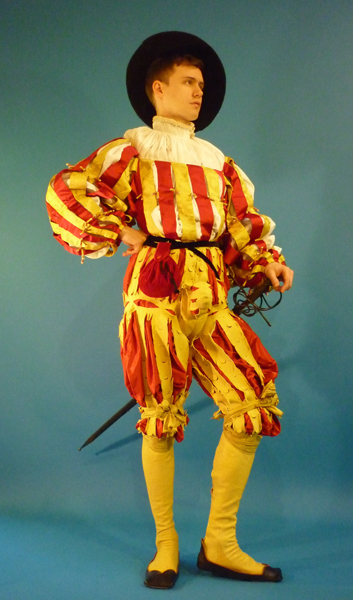 She returned to the Globe in 2012 to hand-make Mark Rylance’s clothes for Richard III and Stephen Fry’s Malvolio outfit in Twelfth Night. Other theatre work includes making costumes for the Theatre Royal Stratford East, the Royal National Theatre and Fiery Angels Productions. Teaching includes classes on seventeenth century cutting and construction for the Rutgers/Globe Theatre Design Course. 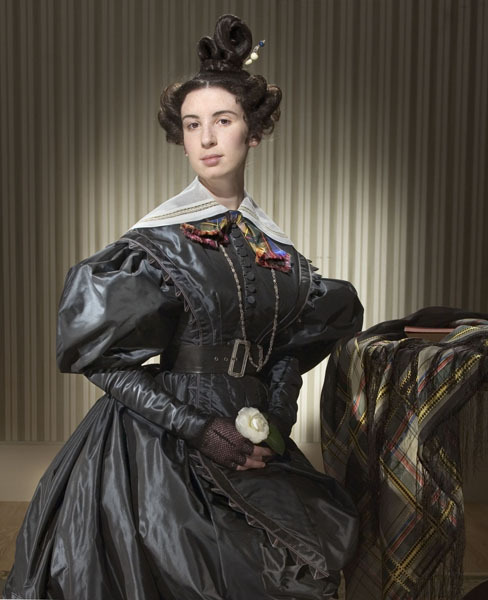 She is a co-author, with Melanie Braun, Luca Costigliolo, Armelle Lucas, Susan North and Jenny Tiramani, of Seventeenth Century Women’s Dress Patterns Book One & Book Two for V&A publications. Specializing in seventeenth century embroidery stitches, Claire has worked a reconstruction of the Bath waistcoat embroidery for the ‘In Fine Style’ exhibition at the Queen’s Gallery for The Royal Collection, 2013. Clothing for Anna Netrebko as Ann Boleyn & Stephen Costello as Lord Percy in Anna Bolena, Metropolitan Opera New York, 2011. Designer, Jenny Tiramani. Photographer Ken Howard for the Metropolitan Opera. 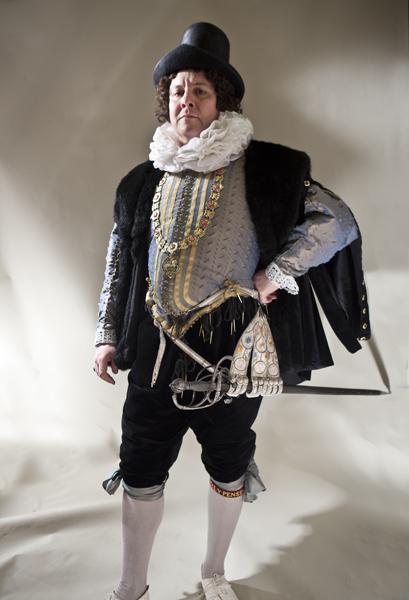 Clothing hand-made for Paul Chahidi as Lord Hastings in Richard III, Shakespeare’s Globe & Apollo Theatre 2012. Designer Jenny Tiramani, sword harness made by Karl Robinson. Photographer Simon Annand. 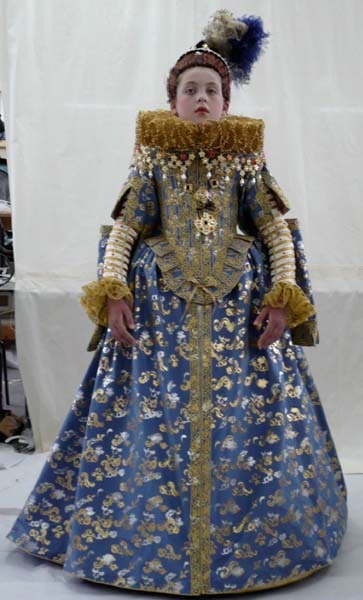 Clothing hand-made for Sam Barnett as Queen Elizabeth in Richard III, Shakespeare’s Globe & Apollo Theatre 2012. Designer Jenny Tiramani. Photographer Simon Annand. 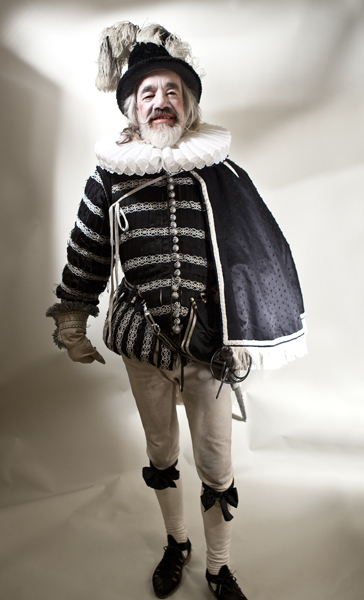 Clothing hand-made for Roger Lloyd Pack as Sir Andrew Aguecheek in Twelfth Night, Shakespeare’s Globe & Apollo Theatre 2012. Designer Jenny Tiramani. Photographer Simon Annand. 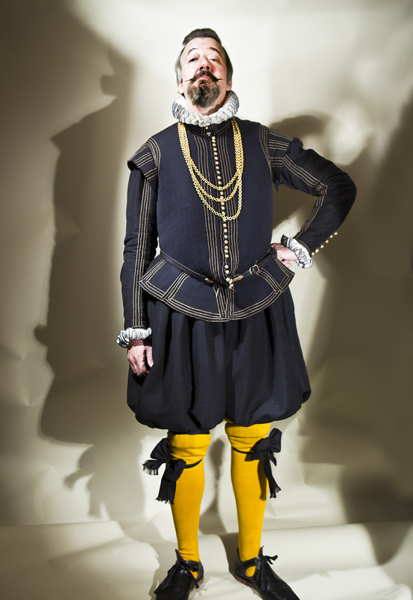 Clothing hand-made for Stephen Fry as Malvolio in Twelfth Night, Shakespeare’s Globe & Apollo Theatre 2012. Designer Jenny Tiramani, cutter Claire Thornton. Photographer Simon Annand. 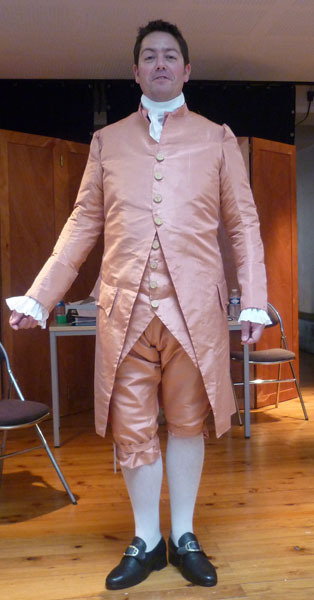 Clothing hand-made for Johnny Flynn as Cesario in Twelfth Night, Shakespeare’s Globe & Apollo Theatre 2012. Designer Jenny Tiramani, cutter Melanie Braun. Photographer Simon Annand. 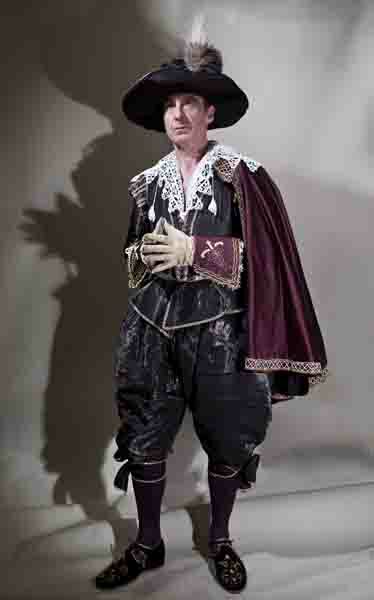 Clothing hand-made for Liam Brennan as Count Orsino in Twelfth Night, Shakespeare’s Globe & Apollo Theatre 2012. Designer Jenny Tiramani. Photographer Simon Annand.